Just days after he graduated from Hampden-Sydney College, David Lawrence '98 packed up his car and started driving west. Now he is a nationally recognized cross-country ski instructor and co-owner (with his wife) of a river rafting company. Just days after he graduated from Hampden-Sydney College, David Lawrence '98 packed up his car and started driving west. He had the promise of a job in Washington state and very little idea of what lay between him and there. "I was in way over my head," he says. "I still am. It's great." The English major from Chesapeake, Virginia, had planned for years to move out West but had done remarkably little research. As a college student, he spent much of his free time working at Wintergreen Resort and enjoyed downhill skiing. Fast-forward 13 years and Lawrence is a nationally recognized cross-country ski instructor and co-owner (with his wife Brooke) of a river rafting company. 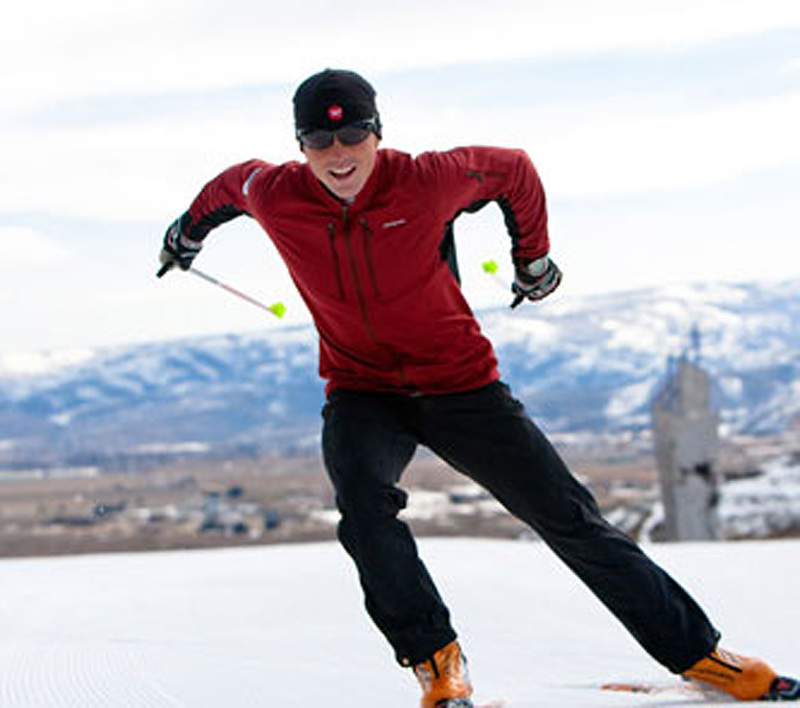 From September to April, Lawrence is a ski instructor, head coach of the Methow Valley Nordic Team, and member of the Professional Ski Instructor Association (PSIA) Nordic Team. The rest of the year, he and Brooke are running Pangaea River Rafting near Missoula, Montana. Through his position on the 30-member PSIA team, of whom only five are Nordic skiers like Lawrence, he travels across the country to work with other instructors and to ski in some of the most beautiful mountains in the world. He says, "You work your normal job, but you also go to team training events around the country to share teaching techniques, train instructors, give exams. I've also developed educational materials and written articles. You are really the face of the Association." Lawrence did not even learn how to cross country ski until he moved to Washington. He says having the right attitude has helped launch him to the top of the sport. "Being athletic and coordinated helps a lot, but having the attitude of a learner is probably most important. I am still just a student and I'm hungry to learn. I didn't get bothered by setbacks. If I wanted to be a world-class skier, I needed to be a world-class student. I needed to be a world-class beginner." He is also very passionate about the outdoors, his life, and his work. That passion reached a tipping point when Lawrence and Brooke hiked the Pacific Crest Trail together. "She and I always said and believed that we could do anything. That was just lip service until we hiked the Pacific Crest Trail. That was when we realized that we really could do anything if we put our heart and minds into it. That hike was the seed for us to bike across the country. We didn't own bikes. We didn't really bike very much, but we believed we could do it." So, in 2005 they did. Literally along the way they negotiated to buy their river rafting company. They had no experience running a business, so the English major did what he knew how to do. "I picked up a book and started reading. Dr. Sarah Hardy was my advisor and I give her credit for cultivating my love of reading. I still do it all the time. I love learning and reading is such a wonderful way to do that." 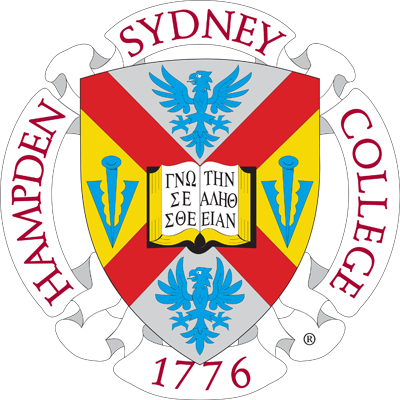 Lawrence continues, "Many people at Hampden-Sydney taught me skills that I still use-Dr. Hardy, Ray Rostan, General Wilson. [Lacrosse coach] Ray Rostan taught me how to be a coach and I think about that a lot. He does a great job reaching athletes individually. I didn't get it then, but I get it now and it helps me be a better teacher. When I teach skiing, I have to get rid of my preferences and figure out what is best for my student. General Wilson taught me how to read the Bible in his Sunday school class. He taught me a lot about character and about giving back." What drives David Lawrence now is the passion he has for his life and his family. When the temperatures rise and the snow melts, they will return to their river rafting business, enjoying the outdoors and continuing to "live in the moment," as he calls it. "People should be passionate about their lives. Nobody wants to have a life that's not fun. I am passionate about skiing and about teaching others. Follow your heart. Be a learner." Always on the water, whether frozen or liquid, David Lawrence is happy to split his time between skiing in the beautiful mountains and rafting down the raging rivers of the Pacific Northwest.